This week on The Local Take I speak with Mary Newton, Volunteer Services Coordinator Area Agency on Aging at the Atlanta Regional Commission (ARC) about RSVP (Retired and Senior Volunteer Program) a senior volunteer opportunity. 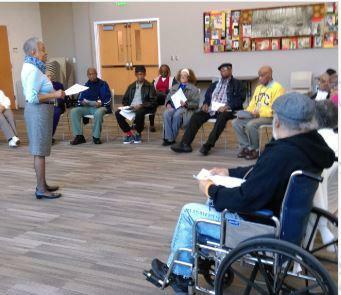 The RSVP volunteer services program provides all topic trainings free-of-charge and also community presentations are free-of-charge. Ms. Newton explains that seniors (55+) have a wealth of information to share on various subjects. Mary Newton shares with us that one of the most popular presentation is on Seniors and Healthy Sexuality. There are also presentations for care-givers, retirment tips, fitness, podcast and so much more. Mary encourages our listeners who are 55+ to get involved and to share their knowledge with other seniors and community members through the RSVP program. Kiplyn Primus talks with Mary Newton, Volunteer Services Coordinator Area Agency on Aging at the Atlanta Regional Commission, on The Local Take On WCLK.